The Spanish residential property market is expected to bottom out over the next year and see a 2 per cent average price rise by 2016, according to ratings agency Standard & Poor’s. It has been well documented over the last few months that the fall in prices of homes in Spain is beginning to slow down, and the agency is predicting that prices will drop overall by 2 per cent this year, compared with a 4.6 per cent fall in 2013. Spanish property prices have fallen around 40 per cent since the economic crash hit the country’s real estate and property markets back in 2008. Standard & Poor’s says that the optimistic outlook for the property market is down to a much faster than expected recovery of the Spanish economy and a subsequent quicker fall in unemployment. According to the Spanish central bank, the country’s economy grew by an impressive 0.5 per cent in the second quarter of this year, the fastest rate witnessed in Spain since 2008, and the latest job figures show some positive news regarding the massive unemployment crisis in the country with over 190,000 people joining the country’s workforce in the 12 months leading to the end of June. Experts believe that there has been a change in trends in the Spanish real estate market over the past year, with the refreshing arrival of British and US property funds who are taking advantage of the discounted offers that are currently available in the Spanish property market. The market is unlikely to recover at the same pace across all of Spain’s regions however. It is predicted that properties on the coasts or ‘costas’, including areas traditionally more popular with owners of second homes or holiday houses, will see prices begin to rise before other areas. According to Standard & Poor’s, the long term recovery of the Spanish property market could be weighed down by the excessive number of properties on the market in Spain in what is seen as a glut of unwanted property developments. The country’s population decline could put a brake on and hinder Spain’s long awaited recovery. In January, Standard & Poor’s stated that Spain’s housing market was overvalued by somewhere in the region of 12 to 20 percent. As property expert Mark Stucklin of Spanish Property insight told propertywire.com, Standard & Poor’s is an agency that tends to be rather more pessimistic than it’s close competitors, who are of the opinion that we may begin to see a Spanish property revival as soon as 2015. There have been several contradicting reports in recent weeks highlighting the lowdown in the price declines, prompting many different analysis’ of when the bottom of the market will be reached. With the most recent news however, most are of the opinion that it will be sooner rather than later. 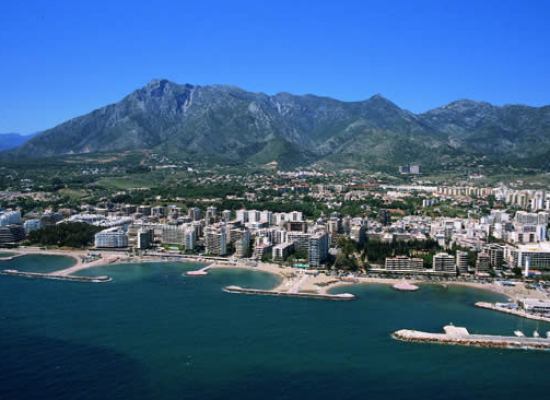 Ron Wilkinson of Alta Vista Property, an agency operating out of Marbella and the Costa del Sol, says that with all the conflicting reports, no one is sure exactly when the recovery will begin. “We are seeing localised recovery in some areas, such as the major cities, Madrid and Barcelona for example, but nobody seems to know exactly how close we are to national rejuvenation,” he said. Brad Shore is experiencedand skilled, he tends to right about property investment in and out the UK. Since leaving university he has been writing skilled article for a number of different clients.